I’m kicking off my new review series, Access All Areas, with a review which will be a cinch to write, because this is my absolute favourite nursing garment to date! The Sangha Bamboo Waterfall Wrap is lightweight yet so comfortable and warm. 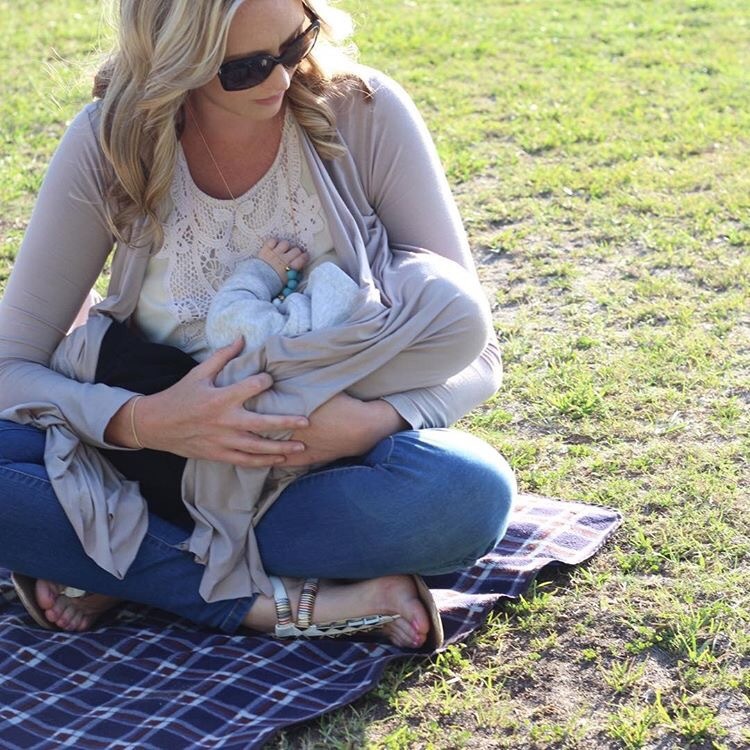 It’s compact enough to stow in my baby bag as the day heats up (Queensland’s missed the Winter memo, again) and serves as both a nursing cover as well as a garment in its own right. It’s difficult to describe the softness offered by bamboo. I find it extremely gentle upon my own skin, and that’s reassuring as I also use the wrap to cover my bub as he feeds. The Sangha is really versatile. It can be worn a number of ways, and has buttons inside each side to help attach it as a nursing cover. Its flowing, longline shape is flattering and comfortable. I’m all for easy-care clothing. One of the best things about this wrap is that it’s machine washable and air dries rapidly on a coat hanger. Being quite tall I often have difficulty finding sleeves long enough, but the Sangha has me covered. 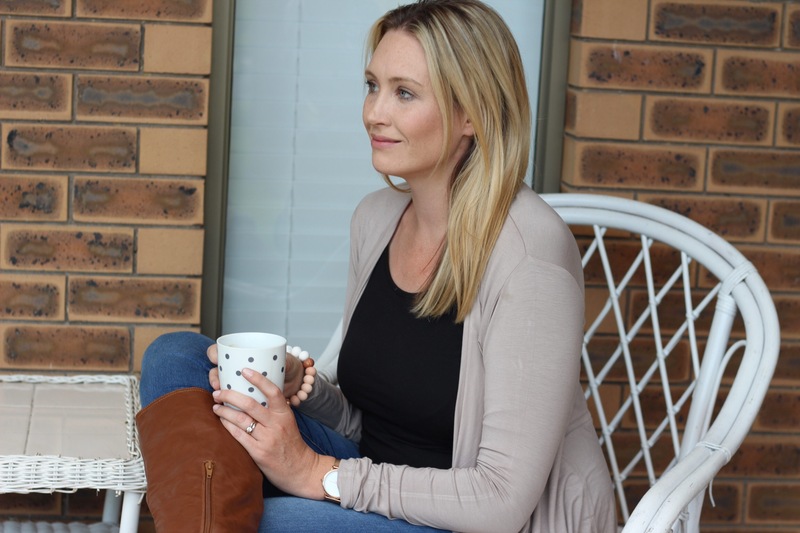 The Sangha Bamboo Waterfall Wrap is stocked by Milk and Love, a Brisbane-based (internationally shipping) store dedicated to dressing pregnant and breastfeeding mothers stylishly. It is available in three colours, light taupe (pictured), black, and navy. You can read Milk and Love co-owner, Corryn’s review of the wrap over on her blog. I love this garment, I wear it several times per week. It can easily be matched with ripped jeans and loafers for casual mumming, or paired with knee high boots and a long statement necklace for an outing. Previous Post You don’t know what you don’t know. 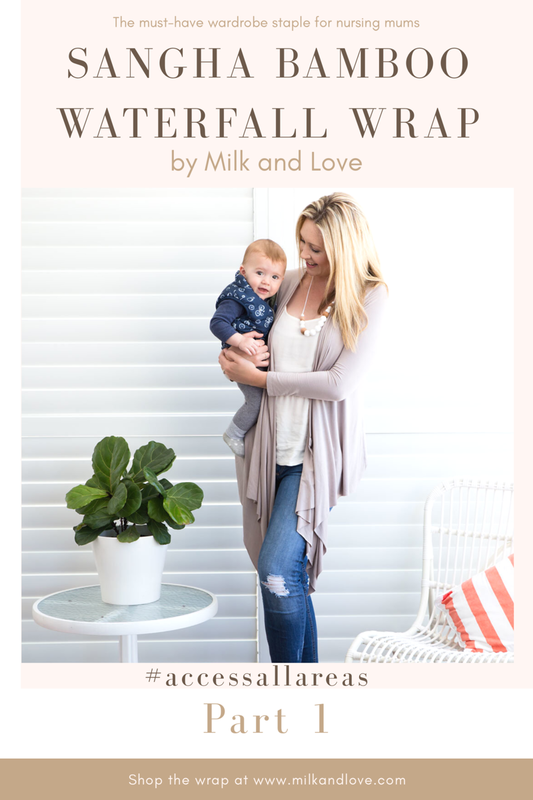 I am not breastfeeding anymore (in fact I haven’t for almost 3 years) but I would totally buy this wrap because it’s just so gorgeous and I’m a sucker for a waterfall-style cardi! Thanks for visiting Kylie! It’s a beautiful piece and I’m sure I’ll wear it for many years to come.